Whether NOC of State / UT or recommendation of Embassy of India obtained? NOC No. : No. ED 193 PGC 2008 from Education Department, Govt. of Karnataka, Bangalore. Recognized by the Govt. 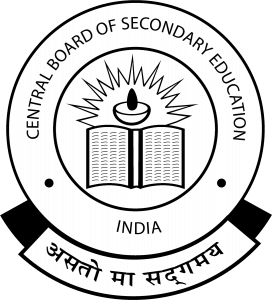 of Karnataka and affiliated to the CBSE, New Delhi. The Apostolic Carmel Educational Society, Karnataka. Registered under the Societies Registration Act XXI of 1860. In Sq. mtrs. 9065 sq. mtrs. Built up area (sq. mtrs) 4493 sq. mtrs. Bus No. 1: starts at 7.15 am from Urwa Stores, Ashoknagar Church, Urwa Market, Mannagudda, Ladyhill, Gandhinagar Mission Compound, Lalbagh, Bejai, Kadri Kambla, Kadri Temple, Kadri-Kai battal, Alvaries Road, Maryhill. Reaches at the school at 8.10 am. Bus No. 2: Starts at 7.05 am. Ekkur Shaffi House, Ekkur Township, Jeppina Mogaru, Morgans Gate, Nandigudda, Valencia, Kankanady, Pumpwell (Via cochin bakery), Kankanady circle (Via Omega Hospital, St Agnes, Mallikatta, Shivbagh, Nanthur, KPT, Maryhill. Reaches at the school at 8.10 am. Bus No. 3: Starts at 7.30 am. Kulur Junction, Kulur Pumphouse, Panjimuger, Vidyanagar, Shanthi Nagar, Gandhinagar, BGS, Kavoor, Bondel, Padavinangady, Maryhill. Reaches at the school at 8.10 am. Bus No.4: Starts at 7.10 am. Vamanjoor Checkpost, Vmj Junction, Bhavisha Nidhi Laykut, Vmj store, St. Josephs Eng. Collage, Kudupu Temple, Baithurli, Kulshekar dairy, Kulshekarr Church, Shakthinagar Cross, Kaikamba (Flyover), Maroli, Padil, Alape (Megha Nagar), Nagori, Garodi, Kapithanio, Pumpwell, Bajjodi, Tharethota, Nanthur, Paduva Grounds, KPT, Yeyyadi, Maryhill. Reaches at the school at 8.10 am. Bus No. 5: Starts at 7.30 am. Maruthi Lalyut (Devinagar), Kunjathbail Juncion, Athre bail, MCF Colony, Govt. mSchool, Marakada, Jyoothingar, Kavoor Junction, KIOCL Township, KHB Colony, Bondel Church, Padavinangady, Maryhill. Reaches at the school at 8.10 am.